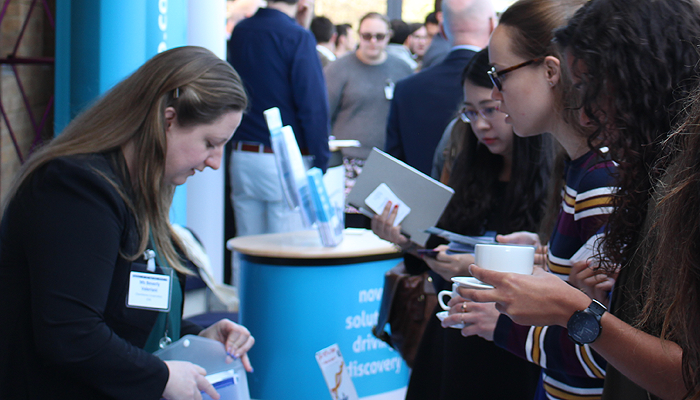 Aptamers 2019 welcomes demonstration of R&D and laboratory supplies related to DNA/RNA oligonucleotide research and invites commercial sponsorship. We have a variety of highly-competitive sponsorship packages. However, if your needs are not covered by our offered packages, we will be happy to develop a package to suit your requirements. For our sponsors brochure, the booking form and terms, please email aptamersoxford@gmail.com. About five years ago, we established the International Society on Aptamers (INSOAP), a platform for the growing community of aptamer researchers from academia and industry. At the same time, INSOAP established the annual conference, Aptamers, which is held in Oxford annually in March/April. This conference brings together world class researchers who are focused on using these high affinity reagents for both diagnosis and therapy. We hope that you will agree to contribute some funds towards ensuring the next generation of aptamer researchers can learn from their peers at this official conference of INSOAP. We would be grateful if you could respond before the 21 January 2019 so that we are able to advertise these bursaries to potential students and provide sufficient time for processing of applications prior to the closing date of abstracts. We will ensure that your company receives appropriate acknowledgement of your support on the Society’s and the Symposium’s websites. Further infomation about our sponsorship brochure, booking form and terms can be obtained by emailing aptamersoxford@gmail.com.